MANILA, Philippines - ABS-CBN president and CEO Charo Santos Concio on Tuesday said the Philippines may not yet be a major player in the world content market but many ABS-CBN shows have already been warmly welcomed in several territories, a proof that Filipino content is now thriving in a globalized environment. “We are grateful that through our content, we can show the world the real wealth of our country. These are our strong family values and our resilience as a people. We see no better way of achieving it than through television,” said Charo, who spoke as the Gala Chair of the 43rd International Emmy Awards held in Hilton Hotel New York last Monday. 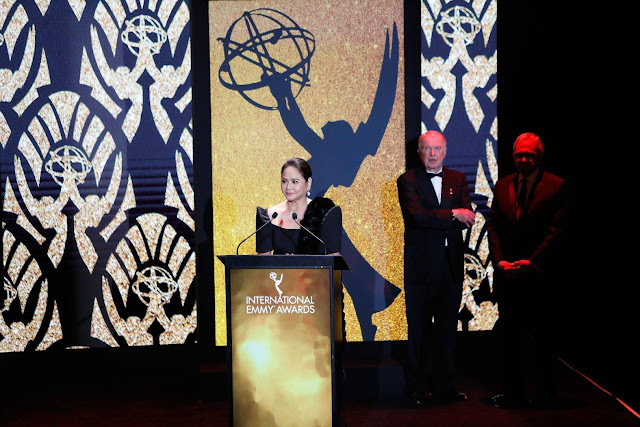 According to Charo, the International Emmy Awards does not only celebrate television excellence all over the globe, but also demonstrates the power of television as a medium of empathy, connection, and understanding among all peoples of the world. “The more we care, the less we fight. During dark days of terror, we come together in prayer. So, the world, far from falling part, is even inspired to unite,” she said. Charo, who is the first Filipino Gala Chair in the iEmmys, said that when content producers begin to know and care about people and things, “we begin to care about other people’s quest for love, pursuit of dreams, cry for justice, celebration of triumph, and struggle for survival. Before the awards proper, Charo and Piolo both graced the red carpet and granted media interviews. Charo looked elegant in her Cary Santiago terno gown, while Pascual looked dashing in a black suit. 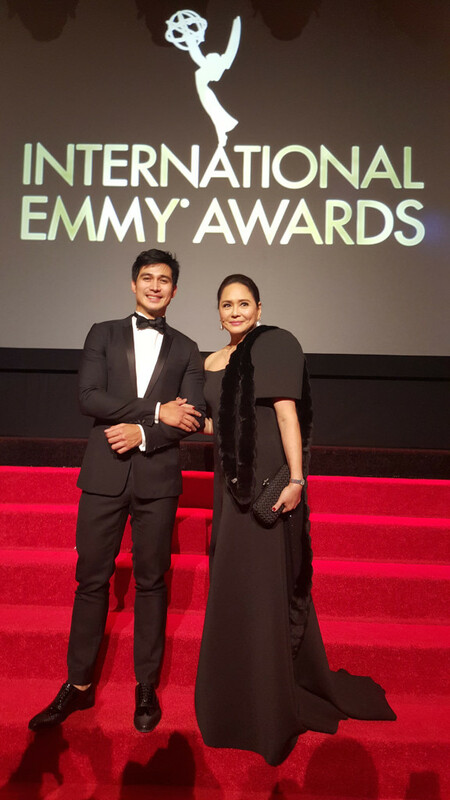 Charo’s and Piolo’s participation in the International Emmy Awards marks a new milestone in Philippine broadcasting history. It serves as a recognition of how Filipino content can be at par with global standards. The International Emmy Awards recognize excellence in global television programming. This year, Special Awards were presented to Julian Fellowes, creator and writer of “Downton Abbey” (Founders Award) and Richard Plepler, Chairman & CEO of HBO (Directorate Award). The event was attended by actor Michael Douglas, Elizabeth McGovern of “Downton Abbey,” Tovah Feldshuh of “The Walking Dead,” Patina Miller of “The Hunger Games,” and Lea DeLaria of “Orange is the New Black,” who were among this year’s presenters. Over the years, ABS-CBN has also earned several International Emmy nominations for its shows and actors such as “MMK” (Best Drama Series, 2013), Jane Oineza for “MMK” (Best Actress, 2013), “Precious Hearts Romances presents Impostor” (Best Telenovela, 2011), “Dahil May Isang Ikaw” (Best Telenovela, 2010), Sid Lucero for “Dahil May Isang Ikaw” (Best Actor, 2010), “Kahit Isang Saglit” (Best Telenovela, 2009), and Angel Locsin for “Lobo” (Best Actress, 2009).